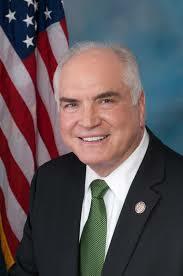 Congressman Mike Kelly (R-Butler) announced today he will not run for Senate next year against Democratic Senator Bob Casey. “There are critical fights ahead which will require all of my energy and focus, In light of these considerations, I will be seeking a fifth term in the House of Representatives and will not be pursuing a run for the Senate next year,” Kelly said in a statement. Kelly had been rumored to be considering a run for either Governor or Senate, but opted out of the Gubernatorial race earlier this year. Kelly is in his fourth term in Congress, and currently sits on the powerful Ways and Means Committee. The announcement comes on the heels of Congressman Lou Barletta (R-Luzerne) telling GOP leaders he will run for the Senate next year. i’m guessing that of I will support for Mike Kelly for reelection to congress in 2018. This was backroom all the way. Internal polling probably said that Barletta was +2-4 over Kelly and thus, they shook hands and decided Barletta would be the establishment pick. LOL HOW?! He is a sitting US Congressman, that is literally the establishment. I mean…or you could consider the establishment the Presidency, which..oh wait..hes Trump’s right hand man. Establishment anyway you look at it. Bartos, a non-politician, would be the anti-establishment candidate. See how that works? If The Donald pushed Barletta to run, this suggests that he wants to see the field cleared to avoid internal strife, despite the potential qualities of others [including Bartos, who otherwise is high-quality]; Barletta was a superb debater @ Temple Law, years ago, when discussing Illegals and, thus, would probably be formidable against the experienced empty-suit [having demonstrated a voting pattern that his father would have abhorred] incumbent. How is it news that someone will not run? just an effort to keep Mike Kelly in the news, since nobody knows who he is and nobody cares; he’s just a blowhard a-hole who thinks his chance of sucking the public teat is better in redneck Butler than PA as a whole.